Here's wishing you a good start in the new month, and I hope that it will be warmer than our icy February. Today I am sharing an A3 mixed media piece. The BG was brayered with acrylics. The face was drawn and doodled, and some parts were coloured with a green china ink pen to represent the hope that the green shoots of spring will soon be sprouting everywhere. I am linking to Paint Party Friday, hosted as always by Eva and Kristin, and to Simon Monday challenge, in my garden, and to Simon Wednesday Challenge, anything goes. made back in 2014 - time flies! I like your painting!!! So Special! Oh Valerie your work is beautiful! Also that installation creation is fascinating, beautiful on that hill, very cool! Wow What a beautiful page dear Valerie! Your tangling is fabulous!! I am just starting to get the hang of it! What a cool sculpture that is! And you can walk on it? I love it!! Beautiful photos, so happy you shared! Your art is so beautiful and very intricate... gorgeous! Stunning pieces. I don't think I'd walk that roller coaster on a good weather day. :-D Love the pictures of the moon. What a beautiful face!Love the colorful background and your doodle drawing! And the journal page is very beautiful! The sculpture is very impressive indeed! Wonderful pictures of the sunset and the moon shots! Have a happy day and a lovely new month!Hugs! A beautiful face and it looks quite magical with the doodling's. Great photos as always. What a beautiful painting!!! Great! das Gesicht ist wundervoll gezeichnet, ich liebe es so wie du es dargestellt hast und die Glühbirne wahnsinn genauso! Die Duisburger was die manchmal haben, da meint man wirklich ihr müsst über Kopf gehen. Wunderschön der Sonnenaufgang und der grosse tolle Mond! I am in awe of your beautiful face you drew and the doodles you created to compliment her. She is so lovely and a wonderful example of the hope for spring. I was really impressed. Of course, I was also impressed with your Second on the 2nd entry. I remember that entry and am so glad you shared it again. It was fun seeing the head shot that you drew put to such colorful and good use. Thanks for sharing it with us. I want to climb that "THING." It looks like fun, but I'm afraid of heights, so I'll stay on the lower piece. 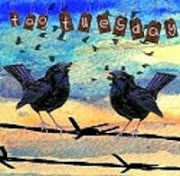 Have a super Thursday, dear friend. I loved everything today, Val. I especially enjoyed the first piece. And the sayings on both pieces were spot on. At first glance I thought the first photograph was a roller coaster:) And those sunrise and moon photos simply took my breath away. It is a rollercoaster, just one where you go on foot! beautiful pages for the challenges! What a neat installation, enjoyed today's photos. LOVE THE ART TODAY!!!! One of my favorite faces you've done so far this year ♥ Beautiful sunrise and moon photos too. We have had nothing but clouds and rain for 4 days so no moon photos here. :-( That art sculptural installation looks very interesting indeed. Thanks for sharing. It is a stunning page. An air of mystery seeing half the face as a beautiful doodle and then the beauty of her as she looks from the page. FABULOUS. 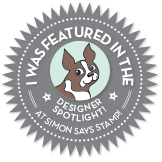 Its a super re-visit to one of your head pages as well. The photo your shared today look lovely and it looks a really interesting sculpture. I love this piece. I know I say it often that what ever you are showing is my fave. Well this one goes in that box as well. Your photos are spectacular. That face with the zentangles is by far my favorite of your faces! I LOVE it! So much texture with those doodles and the little bit of color against the white background really sets it off. Did I mention I love this one?! That face on the light bulb is very cool. I never think to do these things but this is very clever. I really like your first creation, Valerie - such a unique piece! And always enjoy your photographs each time I visit here, too! 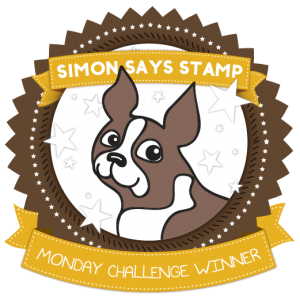 Thanks for playing along with us at the Simon Says Stamp Wednesday challenge! I really love both your art pieces! They are stunning! And, I love the words you used too!! I love that sculpture that you can walk in! So cool!!! Wow! That designs on the face look so good! Really pretty artwork with such lovely details. Love it! I will tell you after I have walked over it! Lovely work, Valerie. That green eye seems to draw you in and keep a hold of your attention. I like that quote, too. Far too often we let other people's behavior drag us down. Love your Spring goddess and the doodling Valerie! Wonderful photos, and that sculpture-wow-it looks like a roller coaster:) Happy PPF! Wow! Your creativity is off the scale. It'd be hard for me to pick which of those pieces of artwork I like best... and they're so DIFFERENT from each other! You're multi-talented, lady! Great photos, too. Amazing close-ups of the moon. Wow! I love that art work with the zentangling. I would gladly have that on my Wall. I had to do a doublé take and read again to understand that the 'rollercoaster' is actually a work of art. Amazing. I am now going to the link and learn more about it. Your sun and moon potos are stunning! Well done you. Ach ist das wieder schön dieses Gesicht mit dem tollen Doodling, ein Traum. Aber auch der andere Kopf gefällt mir mit seinen leuchtenden Farben sehr. Na und die schönen Fotos sind auch wieder erste Sahne. Ein echter Genuß zum Schauen. Spitze! Both quotes are wonderful and your art with them is beautiful. I especially like the doodle work on the first one. I love both your creations, old and new! Your half-face with tangles is so gorgeous! I may copy that style sometime to try it. It reminds me of Mardi Gras, when beautiful women wear masks with glitter and feathers!. Have a great week. Two beautiful quotes and art to go with them. Also your pics are beautiful. What a glorious face! Those eyes really pop -- she's beautiful. Nice photo fo the Wolf Moon! I love both of your mixed media pieces. Wow! The colors, style, and quotes are just fabulous. Bravo! What a sculpture. Can't believe all the people walking in it. I really love the first one...so pretty and I love the quote! And that sculpture...I thought at first glance it was a roller coaster. What an interesting spot to place something like that! Hi Valerie, Your post always is something I look forward to seeing. I especially love you incorporated doodling into the piece your your piece and the photo of the full moon. Have a lovely week! 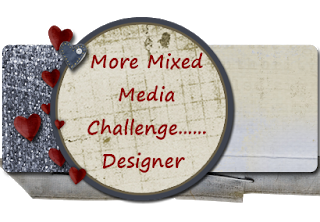 Your mixed media doodle art is exquisite! Lovely other art work too and great nature photos! ooohhh valerie,deine doodelingfrau ist traumhaft,und auch der leuchtende kopf in gelb ist wunderschön,tolle farben auch. und deine bilder aus deiner heimat sind klasse,die wirbelbrücke ist ja irre! der klare mond ist auch toll! eine gute nacht,ich geh jetzt ins bett. Danke Jenny und gute Nacht! Oh what a lovely face she has and the sentiment is beautiful. I love how full of hope your pieces are. The moon photos are also wonderful. I love the texture, and the idea of the green shoots of spring! Yes, it can come now, winter has taken long enough! That photo of the moon is stunning! Happy PPF! gorgeous photos wow I love that sculpture for walking-what a very cool idea walking in a sculpture-I would enjoy that. 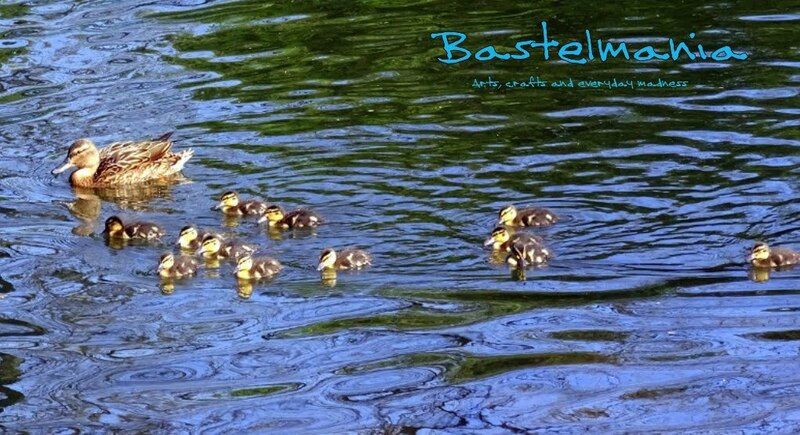 Hope you have a warmer March-we are enjoying a few spring like days-the grass is even starting to grow. A3 is the size of the paper - approx 30 x 42 cms - and BG is background! You managed to paint so much wisdom in that one green eye. Hope your weekend is filled with sunshine, sparkle and joy. Such an amazing work of art Valerie with the doodles and face and the older piece is a real motivating piece. Great photographs and idea of a walk around 'ride' is wonderful. I can't wait for the UK to catch -up and maybe have one somewhere as I would love to try it. I never go on the rides otherwise as just the thought of them terrifies me. Same here, I would never go for a ride over one, but walking is different! This is amazing work you do! wow love your doodle lady! !happy ppf!